Cornell Communications is the leader in audio and visual nurse call system manufacturing with over 40 years of experience in the business. We provide the most innovative reporting system software and paging technology to hospitals, nursing homes, assisted living centers and hospices around the world. Our visual and wireless nurse call systems provide the most reliable emergency communication throughout your healthcare facility. Our top of the line VersaPage systems provide fast emergency communication to medical pagers, cell phones and email to ensure your individuals receive immediate assistance. 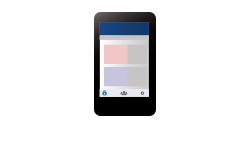 These wireless paging systems are easy to install and are easy for healthcare staff to operate. Cornell Communications VersaPage systems also keep record of individual room numbers, the date of the call, and what type of call was to make medical reporting more convenient. Upgrade your existing nurse call system with our reliable and easy to use VersaPage system today. We also provide high quality nurse call system replacement parts online. Purchase replacement medical pagers directly from Cornell Communications. Our wireless paging system for hospitals is the clear choice. Give your individuals and their families peace of mind knowing your staff is prepared to meet their every need and provide emergency assistance. Cornell Communications Report Writer Incident Logging and Reporting Software helps you keep track of individual’s care plans and caregiver logs. Healthcare managers are able to choose the queries in the medical reporting software to allow which types of data are collected from individuals and caregivers. Our reporting software is all online, so caregivers can access the reports from anywhere in the healthcare facility. AURA Call Reporting software lets managers keep track of incoming emergency calls and caregiver response times. This dependable reporting software provides highly accurate data on the date and time the call was placed, as well as the individual making the call. Healthcare staff are also notified with the AURA Call Reporting software via wireless paging systems, email or text message. Increase communication throughout your healthcare facility with nurse call systems and reporting software from Cornell Communications. Easily integrate nurse call pendants into your AURA 2.0 wireless nurse call system. 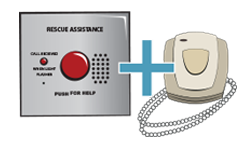 Senior living center residents can easily call for emergency assistance from anywhere with our personal pendant transmitters. Available with both a neck cord and a belt clip, your hospital individuals and assisted living residents will never lose their wireless nurse call pendant, giving them a sense of security wherever they go. 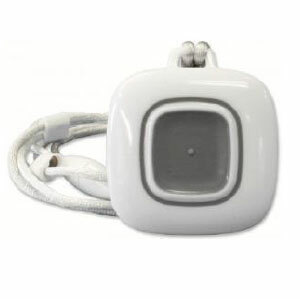 These versatile pendants are small, light, water resistant, and easy to use: simply press and hold the single button for one second, and caregivers are immediately notified through the medical paging alarm system. Our nurse call cord pendants are convenient and ideal for assisted living facilities. With a fully supervised radio link, these mobile transmitters ensure reliability and fast response in an emergency. 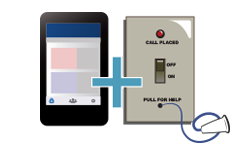 Your facility’s nurse call paging system with pendant transmitters will give your individuals and their families peace of mind. 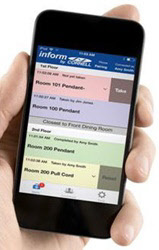 Wireless paging systems for hospitals provide easy communication between individuals and nurses. Whether it is a medical emergency or the individual is simply uncomfortable, hospital staff will receive instant, discrete notification so they can respond accordingly. VersaPage instantly notifies the appropriate hospital staff members of any individual need or emergency via in-house medical pagers, a text to a cell phone, or an e-mail. Records of all calls are stored in the system’s data log. 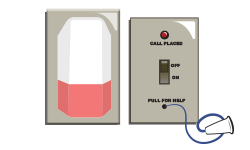 Wireless medical paging systems are easy to install and operate with minimal wiring. Since VersaPage has a flexible design, the existing hospital call system can be upgraded to work with the new wireless system. Voice communication is important to understanding a individual’s needs, especially in an emergency. The versatile and intuitive audio nurse call systems allow caregivers to speak directly with individuals to find out what they need. Designed based on the on-the-job insights of nurses and caregivers, the voice call systems are continually improved to provide the best emergency communication. Combining the voice call system with wireless paging allows open, audio communication while notifying additional staff members of the situation. Cornell Communications has over 40 years of experience as the premier emergency and nurse call system manufacturer and supplier, providing exceptional customer service, easy to use products, and superior emergency communication systems. We offer top-of-the-line emergency communication and wireless paging systems for hospitals, outpatient medical clinics, senior living facilities, commercial buildings, businesses, restaurants, schools, and more. Contact the professional emergency communication system suppliers today to bring the best in wireless paging and communication to your hospital, school, or business. Businesses, offices, multi-story buildings, and other commercial facilities can utilize wireless paging systems to communicate with employees in an emergency, with maintenance or janitorial staff for assistance, or with customers or clients to confirm appointments. This versatile system provides easy, discrete notification for the convenience and safety of your business and employees. If your restaurant is busy and there is a long wait to be seated, our wireless paging system will notify your customers via text when their table is ready. Contact the nurse call reporting software specialists at Cornell Communications to have high quality call systems and reporting software implemented in your healthcare facility.